As a Christian. I believe it is important to respect the body, mind and soul we have been blessed with. What we eat has a profound effect on our health, not just physically but emotionally and spiritually. A summary of my Christian perspective on healthy eating is based on what is written in the Bible. The following explanation is a very simplistic overview of my thoughts on this subject. If you would like to discuss this in more detail, please don’t hesitate to contact me. I would love to hear your thoughts. The bible states that in the beginning we were originally designed to eat plant based foods. Genesis Chapter 1 verse 29: ‘And God said, “See, I have given you every herb that yields seed which is on the face of all the earth, and every tree whose fruit yields seed; to you it shall be for food.’ However, after Adam and Eve ate of the fruit from the tree of knowledge of good and evil, of which God said not to, they were banished from the Garden of Eden. In the Old Testament (bible books before Jesus), we have some Jewish laws come into place. God spoke to Moses a multitude of laws for the Jewish people to obey. There were some laws relating to foods. Leviticus chapter 11 and Dueteronomy Chapter 14 are where you will find them. They are an interesting collection of laws. There are no reasons explaining why some foods were ‘unclean’ and the necessity of avoiding them. However, there are some public health benefits in some commandments. Such as not eating animals that have died by unknown causes, hand washing and preventing cross contamination. Then we move on to the New Testament and hear from Jesus the Christ. With his disciples he was certainly not vegetarian. He ate red meat and seafood (he celebrated the Passover feast and cooked and ate fish even after he was raised from the dead). He spends time explaining His perspectives on the commandments. For example in Mark chapter 7 verses 17 – 23, he states that it is not what we eat that makes us unclean because it goes in and then out down the toilet. It is rather what we say and do that makes us ‘clean or unclean’ (good or evil). The Apostle Paul writing to the church in Corinth spoke about the immoral nature of food. Essentially stating that the food we eat neither makes us morally good or evil. 1 Corinthians chapter 6 verses 12-13: ‘I am free to do all things; but not all things are wise. I am free to do all things; but I will not let myself come under the power of any. Food is for the stomach and the stomach for food, and God will put an end to them together. But the body is not for the desires of the flesh, but for the Lord; and the Lord for the body;’ This can be related to healthy eating. We should not put stringent rules and regulations on our dietary choices, but note that some foods have no benefit to our body. Also the Disciple of Jesus, Peter, had a vision in which all manner of animals were presented to him and God spoke to him saying ‘kill and eat’. Recorded in Acts Chapter 10 verses 9-16. This scripture however, in context, is encouraging Peter (a Jew) to share the Good news of Jesus to non Jews. Biblical perspectives and scientific knowledge on nutrition do not clash. For example if you have heart disease, you are recommended by both the heart foundation and the bible to not let your appetite run free drinking as much alcohol and eating as many pies as you like. Healthy eating doesn’t need to be a complex, complicated, confusing, frustrating and fearful experience. If you want to learn ways on eating that overturns all those negatives associated with it give us a call or email. Or spend some time seeing what the Bible has to say about it. 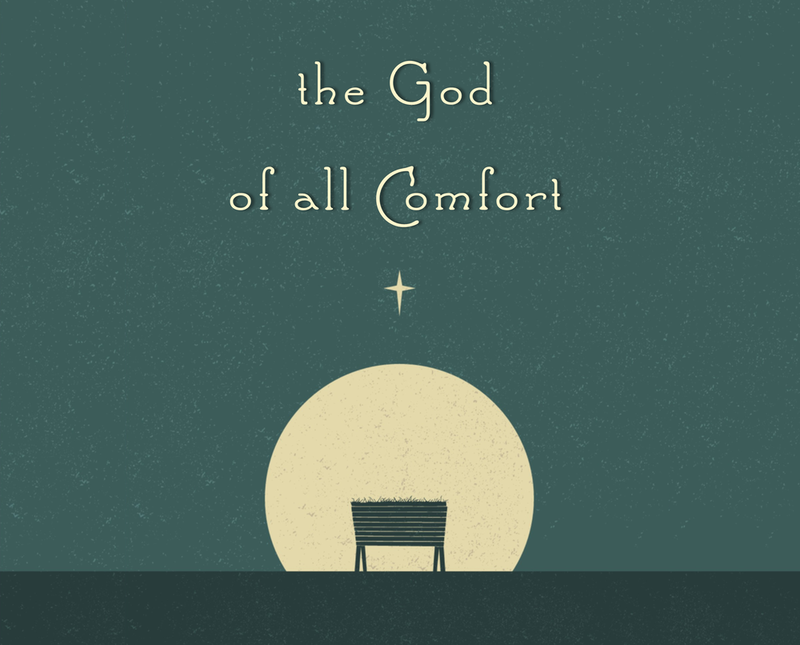 If God is the God of ALL comfort, comfort cannot come by any other means? Will I really not get comforted by food, entertainment, friends, massage, a good belly laugh…? What is comfort anyways? I gather finding out what comfort actually means is a good idea. The bible has two words for ‘comfort’. One word in Hebrew found in Old Testament and the other in Greek found in the New. 1. נָחַם nâcham, Old Testament. Meaning includes to sigh deeply, in that God sighs deeply with us in our troubles. He weeps with those who weep. 2. παράκλησις paráklēsis News Testament. Meaning includes to draw near, exhort and console. A description of the Holy Spirit – the comforter. Summarised as a ‘strengthening presence’. His presence in our lives strengthens us. I think most of us can relate to the idea of eating for comfort. I can find myself looking for chocolate to create happy feelings. (I have a sweet tooth). For others, the salty bag of crisps maybe claiming emotional relief once opened. However, from a Christian perspective, only God can provide true comfort. Food maybe a source of pleasure, an opportunity to experience something enjoyable but it lacks the ability to strengthen. Yummy food can be welcome company during a rough patch, but it doesn’t hold the keys to moving forward. It often brings with it other feelings which are not that helpful, including guilt and disappointment of oneself. This doesn’t have to be the case. God didn’t create taste buds just to make us check whether food is safe or not. The incredible olfactory system triggers so many sensations during eating that there has to be a bigger reason. I am sure that God has placed beautifully sweet fruits on this planet for us to enjoy. He also put a heap of salt in our oceans! Don’t let guilt rob you of enjoying the delights provided for us. Pleasure is different from comfort. To my knowledge, there is no biblical command saying eating food for pleasure is wrong. There should be opportunities in our diet that allow us to enjoy indulgent foods. When we compare God to food, I believe God is a much better counsellor, comforter and encourager. He, by His Spirit, comes alongside and sympathises. But more than this, He builds courage and strength. This is where the difference lies, food can nourish our body, but can’t feed our soul. God, I believe, is the best food for our soul. Join me in celebrating the ability to enjoy all foods and the God who comforts all. 2. New Spirit Filled Life Bible, NKJ version, Nelson Publishing.